Ibsens Hotel accepts up to 50% payment in artmoney. Some says 'boutique hotel', others 'street hotel' or even 'art hotel'. Some says cool and hip - we just say Ibsens Hotel. Ibsens Hotel is located in centre Copenhagen at the corner of Nansensgade and Vendersgade. Just 3 blocks from Nørreport Station and the pedestian street and 1 block from the Lakes of Copenhagen. We like Nansensgade a lot! We love the residential street we live in. Small original designers, cosy cafés, local bike shops and great eateries thrive shoulder to shoulder with art galleries and second-hand book shops. Our hotel went through an extensive renovation during spring 2011. 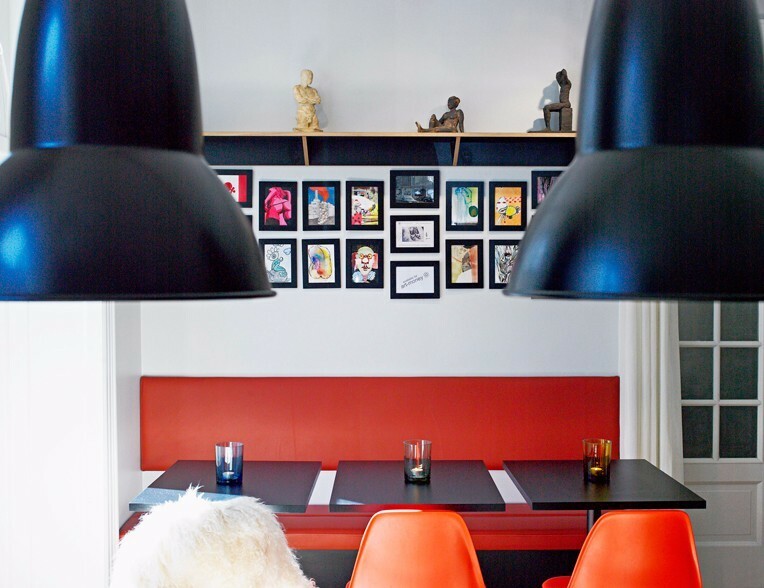 Now, Nansensgade has moved inside the hotel, as local designers and artists from Nansensgade have put their solid finger prints on the décor with everything from key chains, pillows, tables to books in the book cases. And several walls in the lobby have been decorated with artmoney from all over the world. As we - the people at Ibsens - believe that the artmoney project is both fun and sustainable. Incomming artmoney may be added to our collection. As our guest, you can pay up to 50 % of your room charge with artmoney. It is also possible to purchase our exhibited artmoney on the spot! NB: If you wish to pay part of your stay with artmoney, you must book your stay directly from our hotel reception and not via other booking agencies!